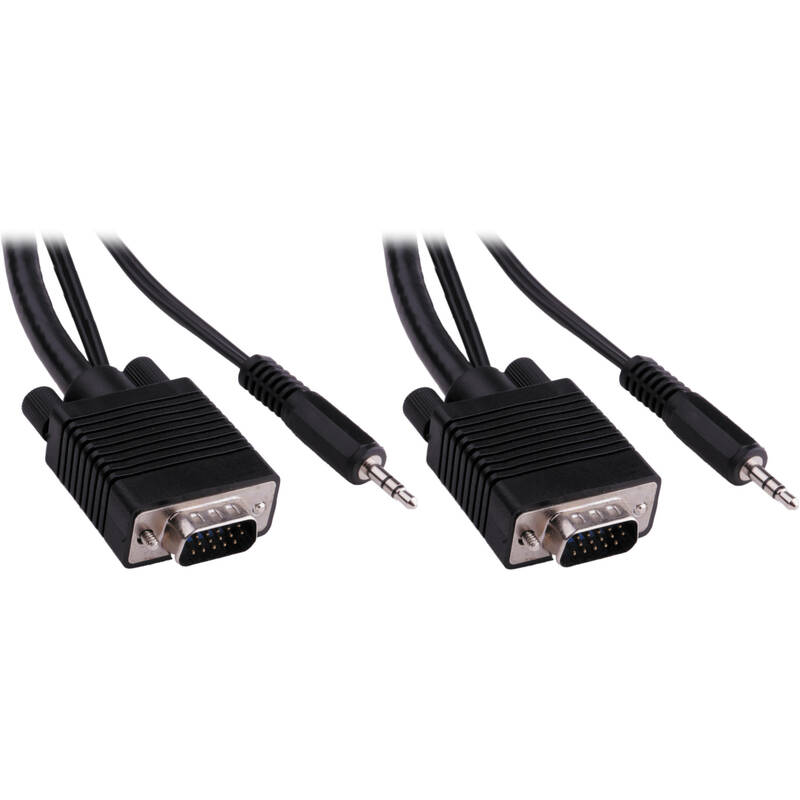 The 50' Pearstone Standard VGA Male to Male Cable with 3.5mm Stereo Audio is designed to connect a monitor, video splitter or KVM switch to a PC. It features a 15-pin male VGA connector on each end and offers a 3.5mm audio stereo audio connection. The cable offers quality, performance and value while providing advanced cable technology. Additionally the sleek design of the molded connectors makes them durable and easy to grip. The cable features 28-gauge copper conductors and double shielding with ferrite beads to prevent EMI. The cable supports high-resolution video transfer and is an ideal interconnect for home, office and other installations. Note: Does not support EDID. Box Dimensions (LxWxH) 10.6 x 10.0 x 1.8"
50' Standard VGA Male to Male Cable with 3.5mm Stereo Audio is rated 5.0 out of 5 by 3. Rated 5 out of 5 by John from Works We are using this cable to feed a monitor in another room. signal is clean and its convenient to have the audio cable run with the VGA.